Maybe want to reconsider those orders? 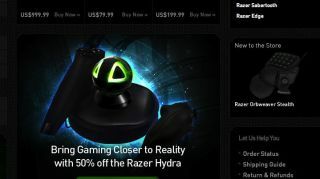 Some bad luck befell Razer this week as a bogus 90 percent off coupon code was decimated through its UK RazerStore. "[We've} always had a customer comes first policy at Razer and in respect of this incident, we have decided to honor the orders that were placed using the unauthorized code by Razer fans buying single products for their own use," wrote Razer CEO Min-Liang Tan on Facebook. "It will cost us an insane amount of losses," Tan wrote, but still the company wants to do right by its community. Even those who made multiple purchases will be able to buy one product at 90 percent off. Other bite-sized things have happened in tech and we've gathered them all for your perusing pleasure.